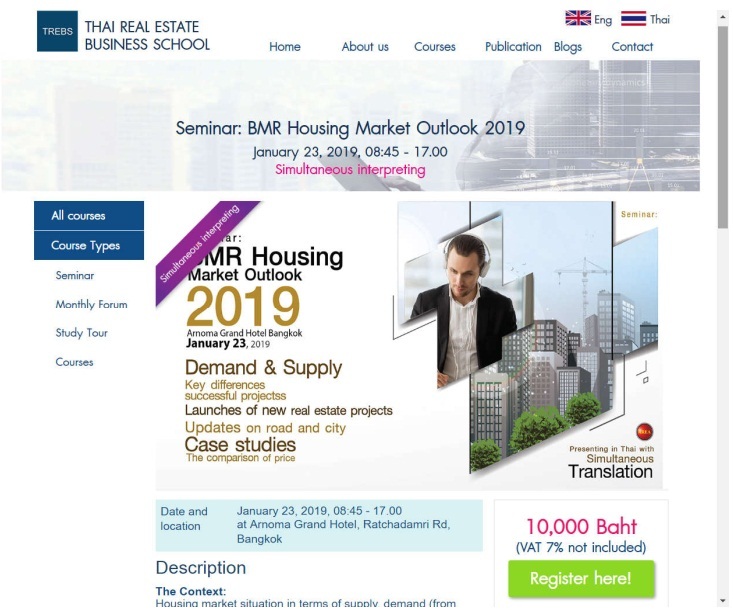 Emerging Housing Bubble in Bangkok Expectedly Burst Soon. In 2018, 448 housing projects were launched with a total number of units of 126,167 units with a total value of USD 17,267 billion in the Bangkok Metropolitan Region. This is consider a boom indeed. Dr.Sopon Pornchokchai, President, the Agency for Real Estate Affairs which is the largest and foremost real estate information centre since 1994 disclosed that the newly launched housing projects in Bangkok was very high in 2018. There were 448 projects with 9% growth compared to the number of projects in 2017. This inclued all types of housing, namely, detached, semi-detached, rowhouses, shophouses, condominium s or owner-occupied apartments and residential land subdivision. In terms of units, the increase was 10% which was considered a significant growth, from 114,477 units in 2017 to 126,167 units in 2018. Particularly in terms of value, the value of the newly launched units were USD 17.267 billion with an increase of 29%. This was an amazing phenomenon of a boom in housing markets in Bangkok while the economy at large was not performing well. In Thailand, although the GDP was improved to around 4.5%, the general public did not feel better off. Low-priced housing could not be sold well. It could be observed that the average house price increased from USD 116,911 to USD 136,860 or 17% Those who bought a housing units were those well-to-do families, government officers, businessmen and foreigners. Normally, when there is a boom, it would grow for a few years. Therefore, the bust would be expected in 2021-2022. However, the burst of the bubble could come earlier. As observed, some 20% of the units were bought by foreigners as well as another 15% by local speculators. If the trade war between China and USA were more intensified, Chinese investors might have to pull back their funds like it happened in the case of Japan in 1991 and Russia in 2011. If that happens, property markets in the Thailand might be in trouble. The emerging bubble today might be burst soon in 2019. Developers, bankers, financiers and investors might be in difficulty. The market must be monitored closely.